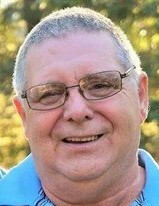 Colin Mulldune of Hohenwald, Tennessee passed away at his home on December 24, 2018 at the age of 69. Colin was born January 10, 1949 to the late Manard Mulldune & Opal Muncie in Danforth, Maine. He had a way of making everyone feel special. Family meant the world to him especially his grandchildren and great-grandchildren. Family and friends would say he was a wonderful person who cared about everyone. He loved life and the Lord. His favorite hobby was fishing. Colin is survived by his wife; Virginia Mulldune of Hohenwald, children; Rick (Amber) Mulldune of Indiana, Melissa (Duane) Bartel of Summertown, Tennessee and Roderick Labby of Michigan, fourteen grandchildren and seventeen great-grandchildren, sister; Pat Peterson of Texas and brother; David Mulldune of Indiana, and several nieces and nephews. A memorial service will take place at 2:00 p.m. on Saturday, February 16, 2019 at God's Highway to Heaven Church, 555 Webber Street, Warsaw, Indiana and officiated by Pastor Bob Brown. Arrangements were entrusted with Williams Funeral Home in Tennessee and Redpath-Fruth Funeral Home, 225 Argonne Road, Warsaw, Indiana.